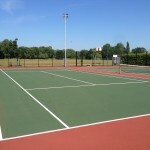 In the UK, tennis courts are popular sports facilities which are installed in a range of organisations including leisure centres, sports clubs and schools. Installing tennis court floodlighting can help you to make your tennis facility more cost effective by enabling it to be used during non daylight hours when visibility would otherwise be poor and the tennis court could not be used. 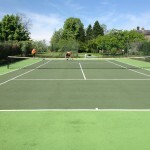 This extra availability means the tennis court can be rented out and used for evening training sessions and matches by local clubs and teams which can help generate more revenue and lower costs for your organisation. If you are interested in installing one of these products at your school or club, feel free to get in touch with us for more information. 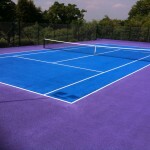 We also carry out the full construction of tennis courts in many different designs and specifications. 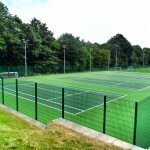 Tennis courts floodlighting can be included in the construction process for a number of different surfacing specifications including porous macadam, polymeric rubber and artificial grass. 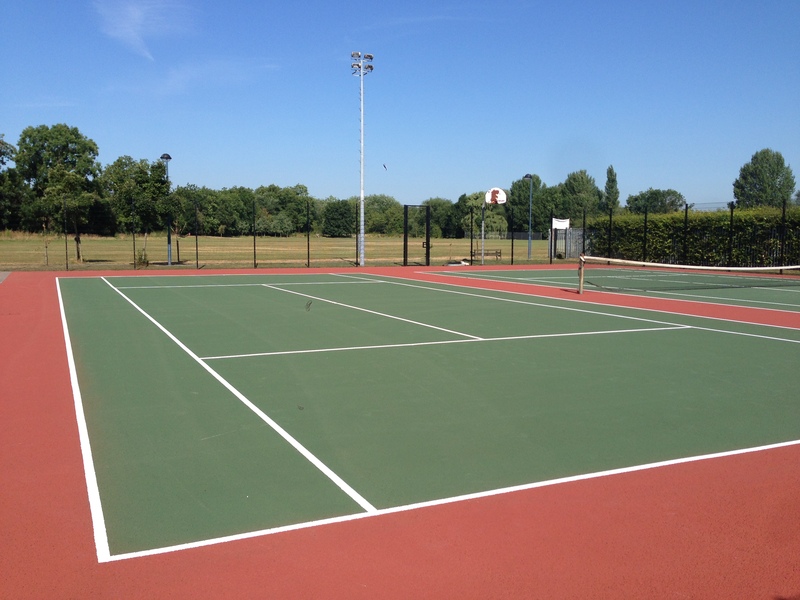 Floodlights can be installed to meet the requirements of each project to ensure that you get the best quality end result for your tennis surfacing facility. 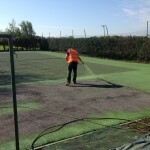 It is important that any tennis court floodlighting is installed by specialist sports facility contractors and meets the relevant accreditations for safety and performance, it is vital to carefully consider this when planning a tennis court surfacing project. You also need to consider the sport surface contractor who is carrying out the construction work; it is a good idea to do background checks to ensure that the contractor has a good credit rating and has case studies of previous sports facility installation projects. 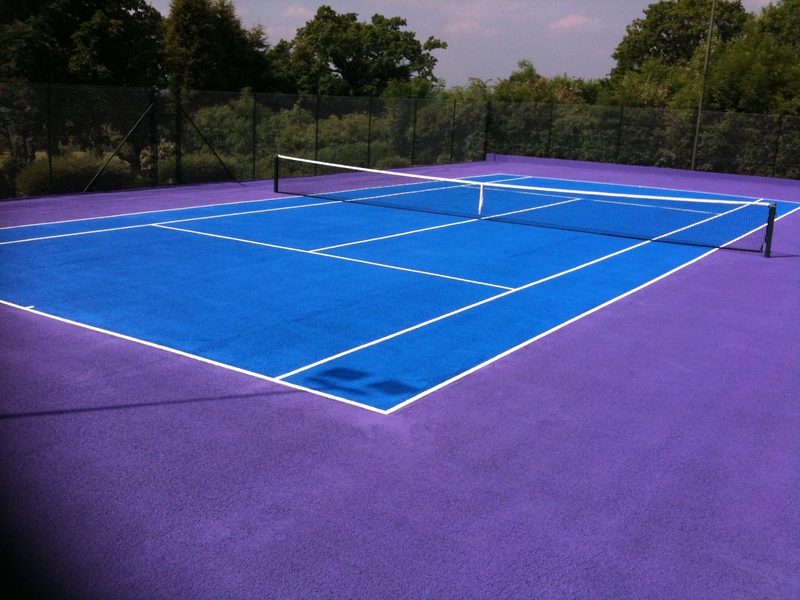 This will give you the confidence that they are an experienced company and the construction of your tennis court will run smoothly. 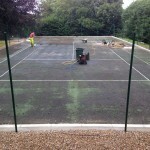 The costs to install tennis courts floodlights can vary and depend on a number of factors including the type of floodlighting you require and the dimensions and specification of the surfacing. A tennis courts floodlighting system can be tailored to suit your requirements and budget to ensure that you get a good quality end result and the right lighting for your facility. 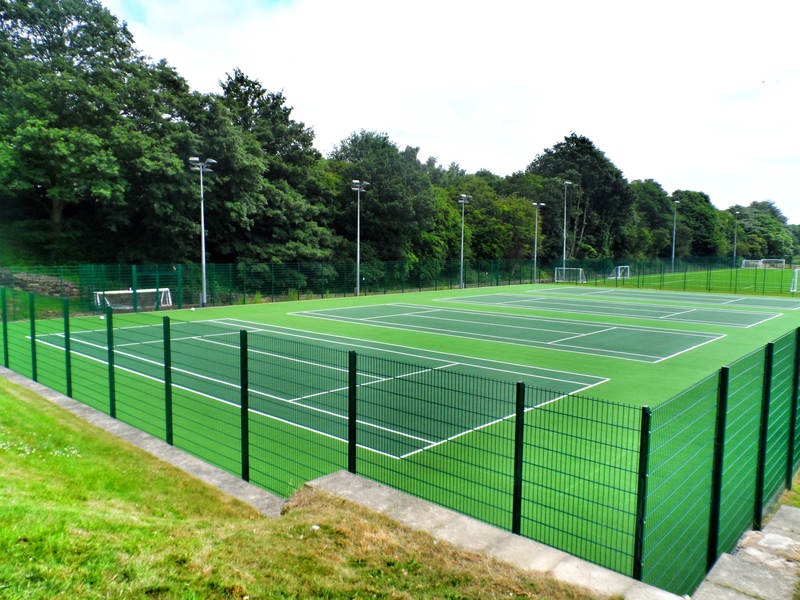 The financial benefits of being able to use the tennis facility at all times of the day mean that you can generate more income which will then help with the cost of installing the floodlights. 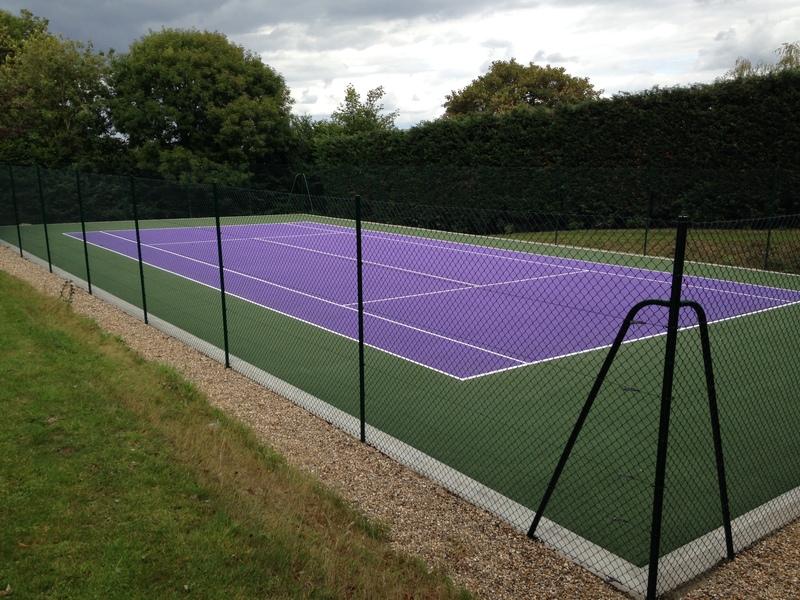 Having a tennis surface built is a great addition to any sports facility and the installation of tennis courts floodlighting brings a finishing touch which improves the efficiency of the tennis court and cuts costs by generating extra revenue. You can also have floodlighting installed for other sports facilities including multi use games areas and artificial grass football pitches. The same cost effectiveness is achieved when floodlights are installed for these sports as it enables the facility to be rented out to sports clubs and teams and used for training and matches in the evenings when it is dark. Please fill in our contact form to speak with an expert about the various different products we can install. These are available in many specifications to suit your budget. 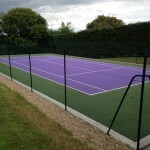 Just send over your details and let us know what you need so we can provide a quote for the tennis courts floodlighting as soon as possible. We’d be happy to give you some further information and discuss all of the different specifications. Let us know what you’re looking for and we’ll come up with a quote for the work.